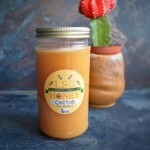 Grab our avocado honey while you can, as it is seasonal. 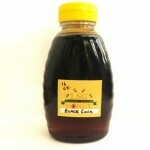 Its luscious richness and tantalizing after-taste will keep you coming back for more. 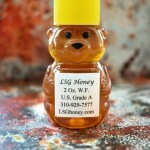 Order our baby bears with your choice of honey for your next special occasion and customize the label to your liking! Try to be a little sensitive and don't separate one baby bear from another. So go ahead, order enough to keep him company! 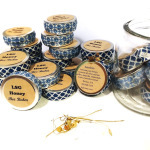 Use our signature "Bee Balm" to heal your chapped lips. With a 100% fine, natural ingredients, you will find your lips' inner smoothness resurfacing. 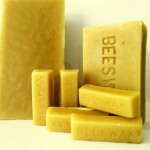 Our "Bee Balm" contains the healing powers of raw honey and propolis along with the soothing characteristics of chamomile. 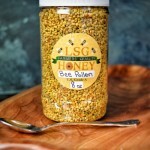 Treat your lips nicely with the wholesome ingredients of "Bee Balm." 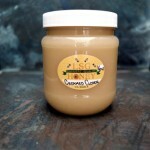 Also known as "whipped" or "spun" honey, our creamed honey is just the same but better. 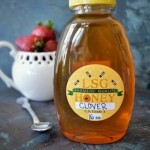 We derive our silky, fine texture without any heavy machinery to keep the integrity of our clover honey in tact. 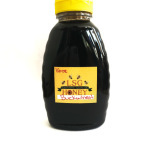 Our creamed clover honey is excellent as a spread or by the spoonful. A father-daughter blend. 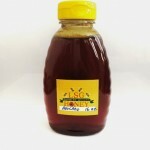 We've used our Wildflower honey as a base to create a decadent honey concoction of propolis, royal jelly, and bee pollen.